Remarks: This beautiful book can be found directly at Verlag Tintenfass in Germany. Mbé ! 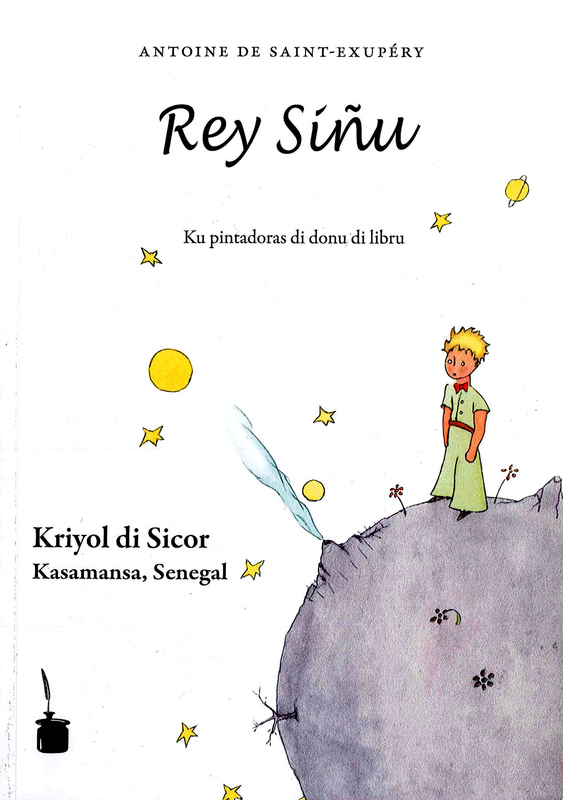 Rey Siñu, a-siŋ ku N kabá di ntendé mbokadu-mbokadu kel bu bida tristi ku bu sá baŋ ku yel. Disná ciw tempu, soŋ sintí sabura di kayidas di sol ki yera baŋ bu manera di pasá tempu. N diskubrí kel noba, na diya di kwátur na dipalmañaŋ, kontra ku bu falá-m : N ŋgostá ciw kayidas di sol. The Creole spoken in the Casamance province of Senegal is part of the 'Guinea Bissau Creole' based on Portuguese and various African languages. Contrary to the Creole of Guinea Bissau, the language in Casamance is additionally influenced by French words. See Wikipedia for mre information.